Residents in the Bangor, Maine vicinity who are looking for a strong attorney for help with legal matters need look no further than Gray & Palmer. With more than 60 years of combined experience, attorneys C. Peter Bos and William N. Palmer provide each client and every case with the strength you need to fight for your rights. Criminal Law is one area that does carry significant fines and penalties for such things as operating under the influence (OUI), drug offenses, felonies and misdemeanors that affect your life for years afterward. Protect your freedom against criminal charges by contacting Gray & Palmer right away to schedule your free initial consultation. There are areas of the law where it is often best to avoid a lengthy trial. Settlements are often reached between parties outside of the courtroom without compromising your rights. It does take an experienced attorney from Gray & Palmer to prepare the filings and negotiate settlements on your behalf in Family Law, for such matters as Divorce and Spousal Support, Adoption, Child Custody, Support and Visitation. When debt becomes an overbearing and stressful burden, Bankruptcy Law does allow individuals and companies to file under Chapter 7 and Chapter 13. To discuss your debt relief concerns, do not delay; contact Gray & Palmer. Our attorneys will review your personal or business debt situation to see what kind of relief plan may be best for your particular circumstances. We are a debt relief agency. We help people file for bankruptcy relief under the Bankruptcy Code. When you or a loved one has been injured in any type of auto, motorcycle, or truck accident, hurt on the job, or has had their life impacted by medical malpractice, the attorneys of Gray & Palmer are here to help. We fight hard for the rights of injured people or families whose loved one was wrongfully killed in accidents. 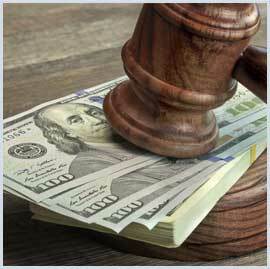 Our attorneys can advise you of your rights under any negotiated settlements with insurance companies. Consult with us on your personal injury matter today! **For personal injury cases only, there is no fee unless you win! At the very root of our practice is Real Estate Law. Clients can call on our expert help for everything from agreements of sale, title transfers, deed or lease review and preparation, property easement agreements, and more. Protect your real property with help from Gray & Palmer. We invite you to contact Gray & Palmer today at (207) 945-5502 to review your legal matter and take advantage of our free initial consultation. **Initial contact does not establish an attorney-client relationship. Our attorney must formally agree to represent you.